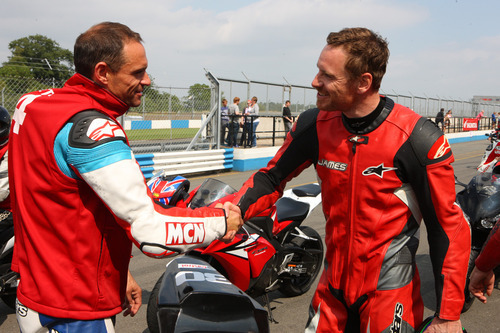 X-Men star Michael Fassbender had his first ever track experience yesterday at the Honda Ron Haslam Race School. He follows hot on the heels of fellow X-Men actors James McAvoy and Nicholas Hoult, who visited the school two weeks ago. 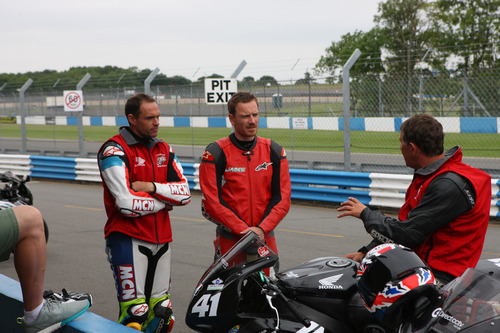 Taking time out of his busy filming schedule, Fassbender, who also appeared in Inglorious Basterds, rode a Honda CBR600RR at Donington as part of the school’s intensive three-hour, ‘Elite’ course. The course includes one-on-one instructing and datalogging. 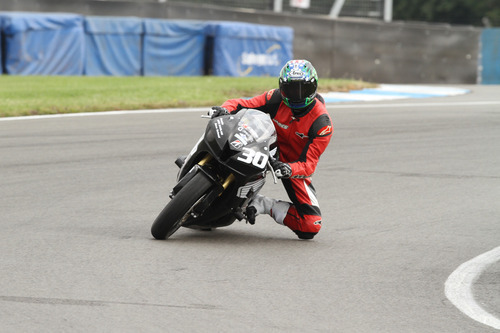 His instructor was MCN Senior Road Tester Michael Neeves. 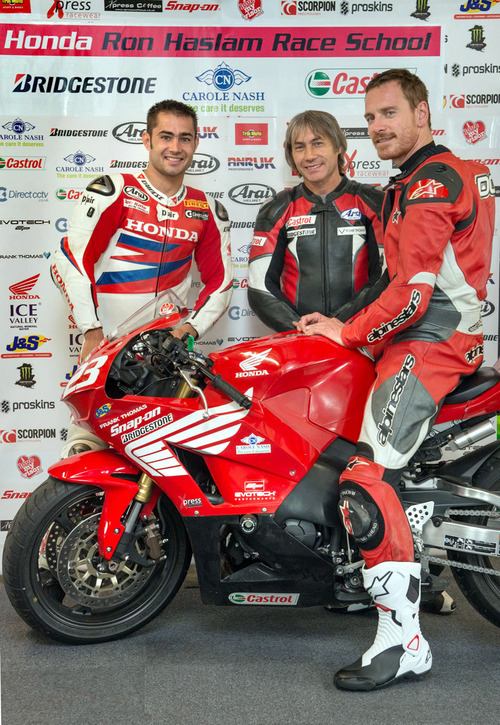 He also took a pillion ride with 500 GP legend Ron Haslam on the back of a Honda Fireblade. 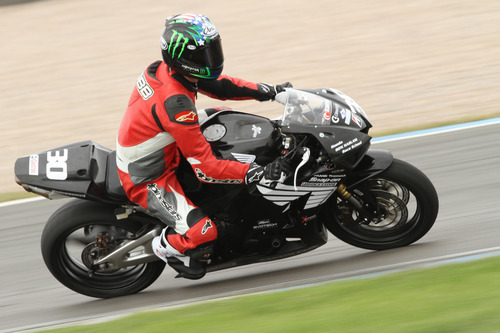 Bike-mad Fassbender has been riding since 2006 and has owned a Triumph Speed Triple and BMW R1200GS, but this was his first time on a circuit. “I’ve done a bit of karting before, so I was comfortable finding the lines, but riding on track is so different to the road.” Fassbender explains. Neeves says: “Riding on track is such a different discipline. Michael had a lot of raw speed to begin with, but the big thing was getting him to move away from his upright road-riding style.